SNAFU! 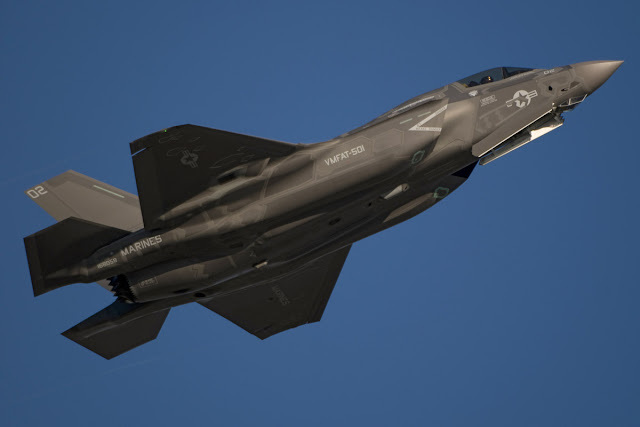 : Aussie company hacked for F-35/P-8 secrets. Aussie company hacked for F-35/P-8 secrets. The hack, which came to light in a threat report from the Australian Cyber Security Center, infiltrated the unidentified company's computer network in July 2016. It was not discovered and reported to the government until November. About 30 gigabytes of information was purloined. The reported hacking was confirmed on Tuesday by Dan Tehan, the Australian government's minister in charge of cyber security, but he offered no specific details. Mitchell Clark, response manager of the Australian Signals Directorate, told a conference Wednesday in Sydney, Australia, the targeted company was a small "mum and dad type business" -- an aerospace engineering company with about 50 employees. "The compromise was extensive and extreme," he said at the Australian Information Security Association national conference. "It included information on the [F-35] Joint Strike Fighter, C130 [Hercules aircraft], the P-8 Poseidon [surveillance aircraft], joint direct attack munition [JDAM smart bomb kits], and a few naval vessels." This is another part of the F-35 story that no one talks about. The parts supply network is so jacked up, so convoluted and so spread out over so many countries that its another built in vulnerability.